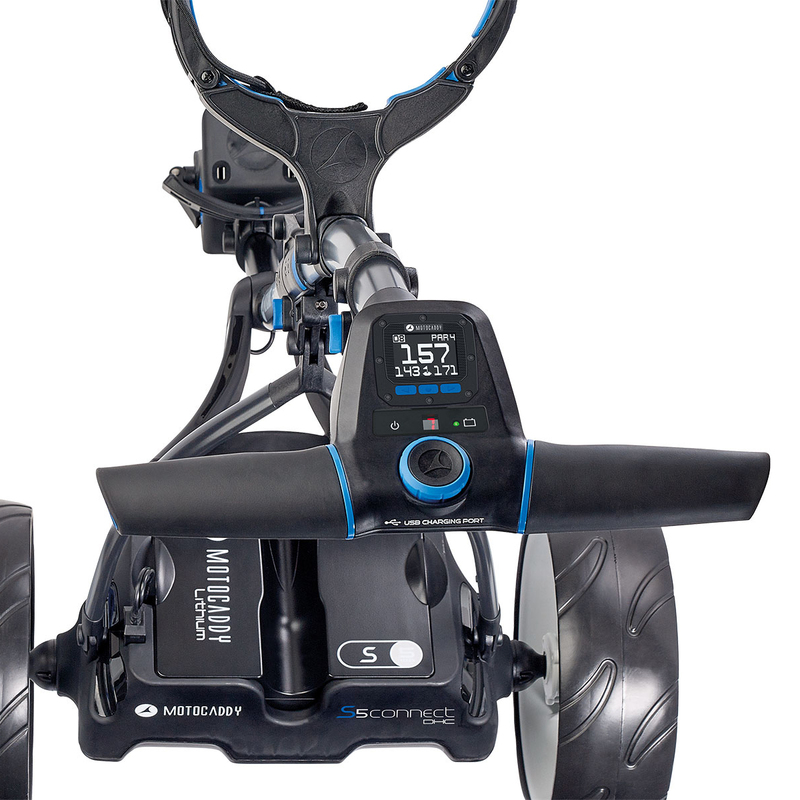 The new S5 Connect takes a step into the future with an electric trolley that connects to your smartphone for full GPS information and push notifications. This provides the ultimate convenience with everything at your fingertips. When connected to your smartphone, you will receive information such as distances to front, middle and back of the green, pus other hole information. It is pre-loaded with 36,000 golf courses while utilising the world number one mapping database and no subscription fees are required. It also displays a clock and round timer. It will also alert you when you receive texts, emails, missed calls and other apps including Whatsapp, Facebook and SnapChat. Don't be alarmed by this, you get complete control of all notifications through your phone, allowing full customisation. 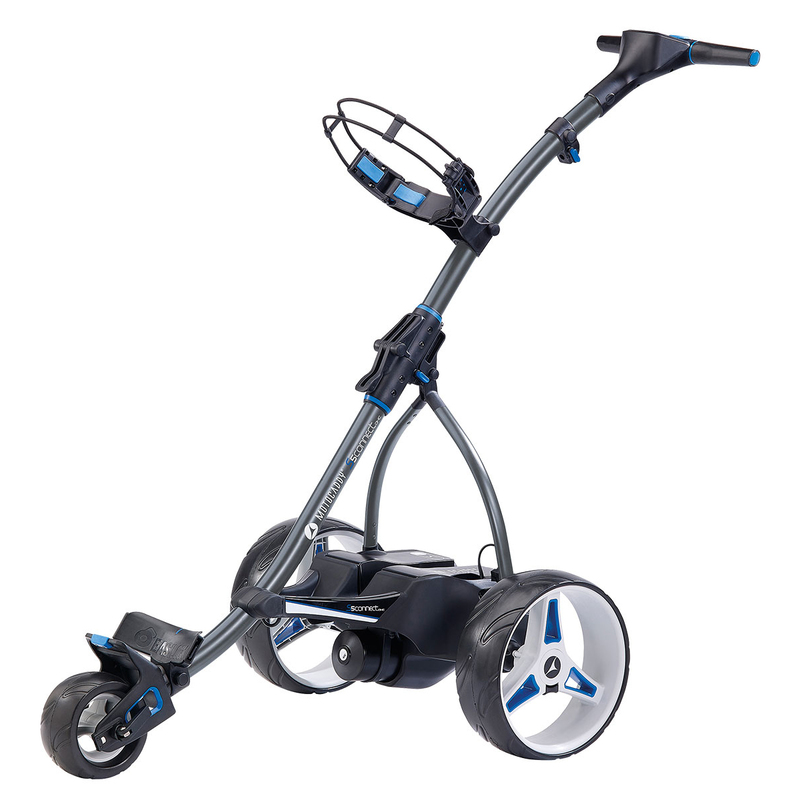 One of the other features is the downhill control function, to give the user consistent speed even on the steepest of hills, plus features an electronic parking brake to ensure your equipment is secure. 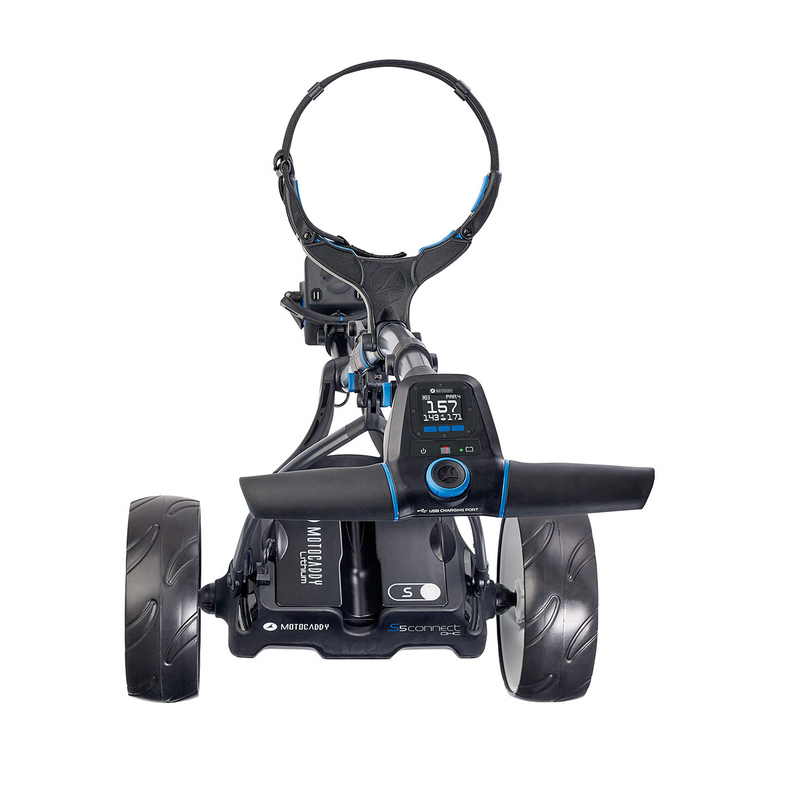 This trolley benefits from adjustable distance control (up to 45m) allowing you to release the trolley towards the next tee box and stop before it. 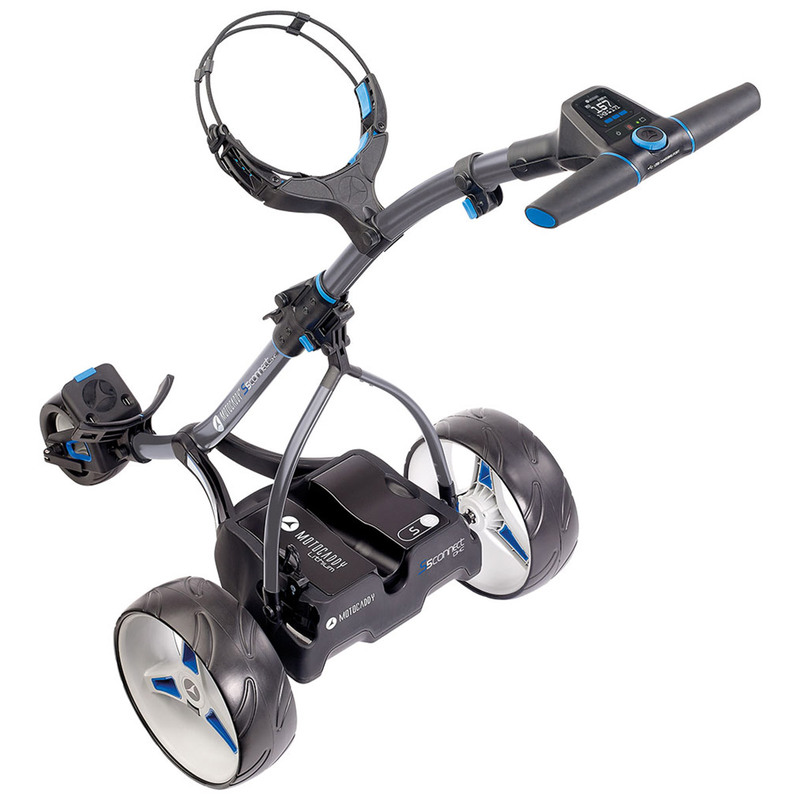 Nine speed settings allows this trolley to stay at your preferred walking speed. The stream lined battery tray improves the design and lets the battery simply click into place. The QUICKFOLD mechanism makes it more convenient to get in and out of your car. It is also EASILOCK compatible and is complete with a soft-touch ergonomic handle. Weight: 9kg, Dimensions: 850 (L) x 595 (W) x 355mm (H), Motor: 200w, Material: Aluminium.